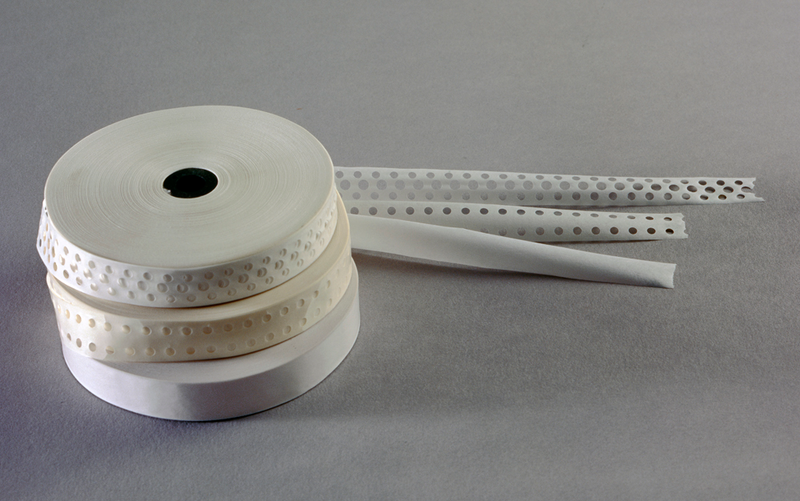 We offer no hole and two hole, 3/4″ veneer tape for face side taping and three hole tape for glue side taping. On the three hole tape the center row of holes is placed directly over the veneer joint allowing the tape to be pressed on the glue side of the veneer eliminating removal on full thickness veneers after pressing . Our tape is white and comes in 650′ rolls.